Days come and go quickly, according to our High School Admissions Representative Kristin Kirk. She strives to create opportunities for as many high school students as she can. The excitement on the new student’s face’s, and seeing the excitement on the families of the graduating students faces keep Kristin motivated. Kristin studied Communications and Marketing at Fairmont State University. After college she began working at the Village Square Conference Center as an event planner. During her work at the conference center, Kristin assisted couples in planning their weddings. She enjoyed focusing on the details of their wedding in order to make their day special. Even though Kristin enjoyed that job, it was just that—a job. She wanted more. Kristin began her career path as the High School Admissions Representative at the West Virginia Junior College in Bridgeport in September 2014. Her desire to work with high school students within the school systems, and guide them through the college admission process was a motivating factor in accepting the position. Kristin is not only motivated by her job, but by her family and friends. Kristin says, “In life there are only a few things that matter; God, Family, and Friends. A perfect day for Kristin consists of spending time with her husband and 3 children. 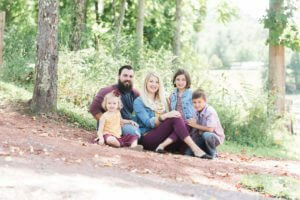 Family, adventures, and traveling keep Kristin motivated, and she says that she encourages and challenges herself to “never live the same day twice.” Kristin is most proud of her children “They are the highlight of my day.” She is also proud of her husband for the support he provides, and the dedication he has for her and the children, and keeping them dedicated to anything they put their minds to.